The emphasis in today’s marketing is to talk one-one-one with your customer. Talking directly to an individual, addressing their specific needs and solving their purchasing problem is the main objective. A personalized message gets their attention and increases the probable return on your marketing campaign. The results… the test campaign, which was highly personalized, generated 27% more response than the general approach. With higher relevance comes a greater response rate. How Can LKCS Help You? 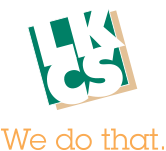 LKCS can assist you in reaching your customers more efficiently and effectively. We can help you obtain targeted mailing lists, use demographic data to help target similar customer types, and help you to access mailing lists for any industry or profession. Learn More About LKCS’ Variable Data Printing Capabilities! Contact us today to learn more about our variable data printing and marketing solutions! We offer a custom approach to fit your every print and marketing need.